Food & Home Entertaining - 05.2019 » Download PDF magazines - Magazines Commumity! South Africa's most established and trusted food magazine inspires professionals, homemakers, culinary students and food lovers. Even the most sophisticated dishes are made accessible to the reader, and there’s never a shortage of comfort food ideas for the whole family. 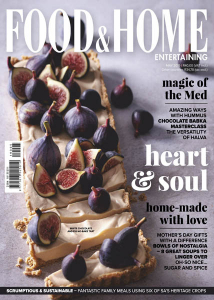 Food & Home keeps readers up-to-date on trends, faces and places, restaurants, events, gadgets, local producers and gourmet travel destinations.